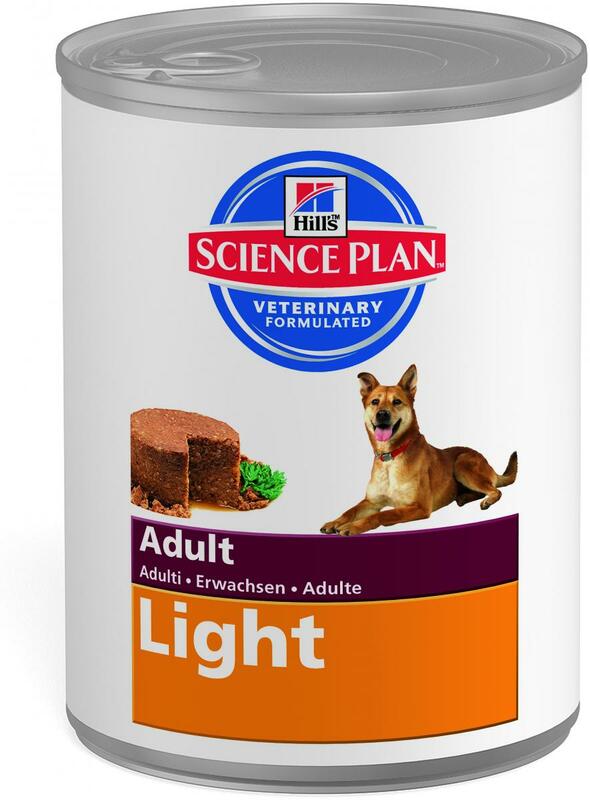 Hill's Science Plan Canine Light products are formulated to help maintain ideal weight. With clinically proven antioxidants and L-carnitine to help turn fat into energy. A 370g can is equal to 105 grams of the dry food. Ground maize, pork, vegetable fibre, pork liver, maize gluten meal, iron oxide, digest, cellulose, vegetable oil, dried whole egg, calcium carbonate, dicalcium phosphate, iodised salt, potassium chloride, taurine, vitamins and trace elements. 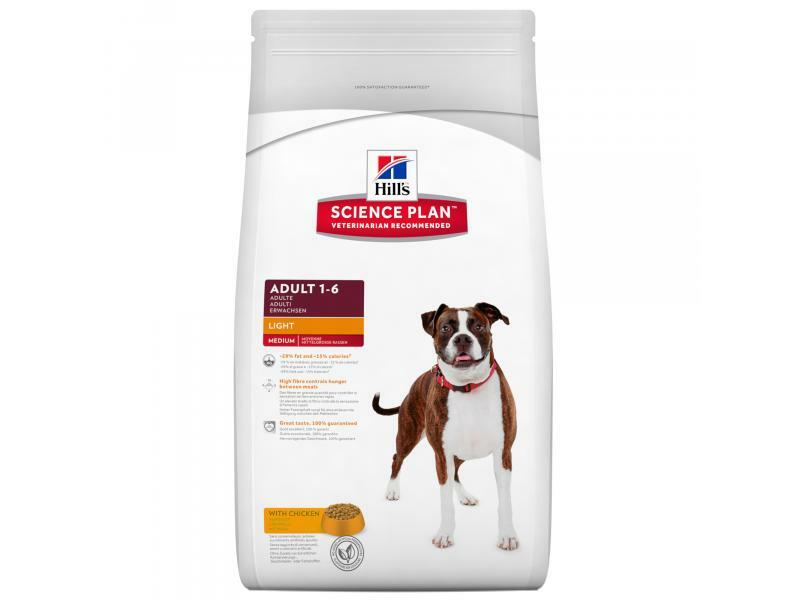 There are currently no questions for Hills Science Plan Adult Light Chicken Dog Food - be the first to ask one!